Every bride deserves to not only look her best, but to feel her best. Treat yourself to a visit to one of our world-class spas, or, schedule an appointment with a top makeup artist or hair stylist to get you picture perfect for your wedding day. Every bride deserves not only to look her best on her wedding day, but to feel her best. Having your hair and makeup done professionally not only helps in creating picture perfect photos, but also relieves any stress that may come your way in getting ready for the walk down the aisle. With so many last-minute details to be seen to, why not allow a professional pamper you on your special day? 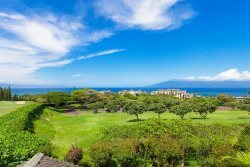 Staying in Kapalua means you have access to two world-class spas; The Spa Montage and The Ritz Carlton Spa. Put time aside before your wedding day to treat yourself or your groom and bridal party to a spa day where all can unwind, rejuvenate and take in this very special moment in time. The incredibly talented stylists at Sole Luna offer a wide variety of bridal services. You can choose to come to the salon, or they will travel to you. This fun loving, professional group of women is handpicked and extensively educated in the latest trends and products. The have mastered the art of formal hair and makeup and will have you looking your best for your wedding day. The Hair Hale is comprised of a talented group of stylist who know the importance of hair and makeup for your wedding day. The owner, Leah Johnston, has had 35 years of experience in every aspect of the salon industry. Her talent, along with that of her group of stylists, eclipses anything else on the island; they will have you and your bridal party feeling absolutely gorgeous! Visit their salon, or, they will come to you. Leah and her team carefully listen to your vision, while at the same time offering their expertise and guidance. Spa Montage offers the ultimate in spa luxury, and not surprisingly, has won many awards attesting to just that. Located at the Montage Hotel in Kapalua®, this world-class spa offers an impressive menu of spa therapies, beauty treatments, health and wellness packages, as well as a full circuit training center and fitness classes. Enjoy a day with your bridal party, or some one-on-one time with your partner. Enjoy the use of the spa`s locker rooms, the private all male/female waterfall pools and an infinity pool which serves as the perfect place for a healthy meal after a pampered day at the spa! We recommend scheduling your treatments in the morning, so that you can enjoy the use of their facilities for the remainder of the day. Indulge with a pedicure, or perhaps a romantic, sixty or ninety minute couples massage in their outdoor hale. Try a private workout session, or, simply a relaxing day by one of their tranquil pools. With so many options to choose from, you may well return more than once during your stay with us. The Ritz Carlton Spa is located at the Kapalua® Resort, and focuses its treatments and therapies around ancient Hawaiian healing. Incorporating the use of plants, flowers and herbs from the hotel`s organic garden, the spa offers guests an authentic Hawaiian spa experience like no other. There is no better way to prepare for your wedding day than with some relaxing time unwinding in this luxury spa. Treat yourself to a Lomilomi massage in one of their outside cabanas; enjoy a soothing steam room or whirlpool bath, or, unwind with a private yoga or Pilates session. The Ritz Carlton Spa offers guests a large variety of treatments, including bridal hair and makeup, and wellness packages that will sooth your body, relax your mind and enrich your soul. Katherine Day will have you feeling more beautiful and glamourous than you have ever felt in your entire life! She is a true professional in her work and has one of the most wonderful personalities of anyone you will ever meet. Katherine Day started her career as a makeup artists and hair stylist in London and Washington DC. While in Washington DC she worked inside the White House in the Jackie Kennedy salon where she did Hillary Clinton’s hair. She also lived in Los Angeles where she worked for six years styling for movies and photoshoots, as well as making house calls to countless celebrities. Her work has been featured in “Vogue” and many other magazines and national television shows. In 2005, she moved to Maui where she started her own studio where she makes “magic happen.” Katherine specializes in hair and makeup, and will even travel to your villa to transform you into the most beautiful version of yourself for your wedding day. Besides doing hair and makeup, Katherine runs Island Girl Pin-Ups. Here, her clients are transformed into vintage era pin-up models where she and her team of photographers capture the most stunning pictures of you could ever imagine! Booking a session with Katherine and Island Girl Pin-Ups also makes for a wonderful surprise gift for your soon-to-be husband. Her pictures are classy, feminine and oh so sassy!